One of the most popular and successful sports in St. Paul’s is basketball. We enter girls’ and boys’ teams in the Meath League. Despite it being our first year entering, St. Paul’s were victorious in the boys’ competition, while our girls’ team performed brilliantly to finish second in a very competitive final. 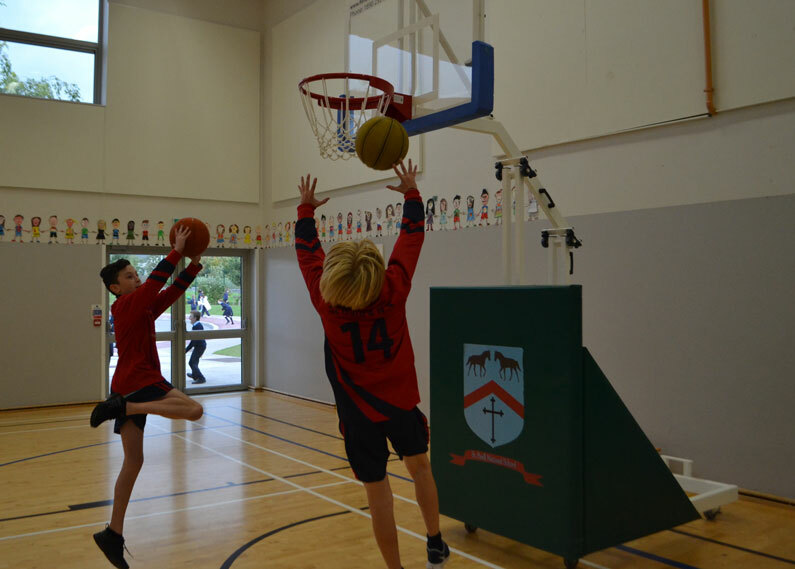 Our boys and girls are also given the opportunity to play basketball at lunch-times. The now annual 4th, 5th and 6th class leagues are always very popular and fiercely competitive. We look forward to basketball going from strength to strength in the school! We are also very proud of our modern school hall which is a great venue for the schools’ competitions.